Apparently all that isn't enough to quench Nuance's insatiable lust for keyboards. 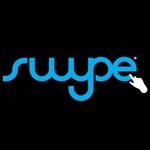 According to Michael Arrington of Uncrunched, they've decided to drop a cool hundred million on Swype. Swype, and T9, and the Shapewriter people will no doubt get to work building the best (or worst) keyboard I've ever seen. If I were Swiftkey, I'd expect a phone call soon - apparently Nuance has confused keyboards with Pokémon. ...Wait a minute. Swype is worth $100,000,000? Don't ever listen to my advice. Ever.